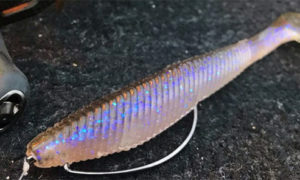 Science: The New, Hot Bait Color? In August a study was published out of Virginia Commonwealth University that might have some interesting implications for fishermen. The study took a look at whether largies would turn up their noses (snouts? cavernous mouths?) at channel cats vs. other potential prey items. I would’ve voted “heck yes” to that question as I assume would most of you. But this being science, all things have to be studied. 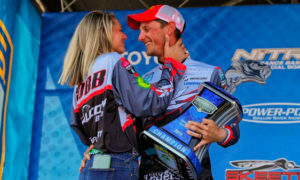 We presented bass with channel catfish and two alternatives, bluegill and goldfish, and compared order of ingestion, ingestion time, percent of successful strikes, and time spent chasing each prey species. We also presented the three species in a jar study that standardized position in the water column as well as in a net-pen study. The order of ingestion was suggestive of a preference for goldfish, then bluegill and finally channel catfish. Handling time was greater for channel catfish, less for bluegill, and the least for goldfish. Fewer catfish were eaten when other prey were available. Bass appear to avoid channel catfish if alternative prey is available. So we knew the channel cat thing, but how about that goldfish part? Maybe the goldfish were taken just because they were like sheep for wolves â€“ easy pickin’s? Maybe largemouths have an inexplicable fondness for gold, like smallies do for chartreuse? Wish there was more detail, but the study won’t be shown in full online until 2015, for some reason. A Rapala in goldfish...more like it. When I had a bass in an aquarium he would eat goldfish the second you put them in the tank, yet when you presented him with small bluegill or minnows he would not eat those until after dark.